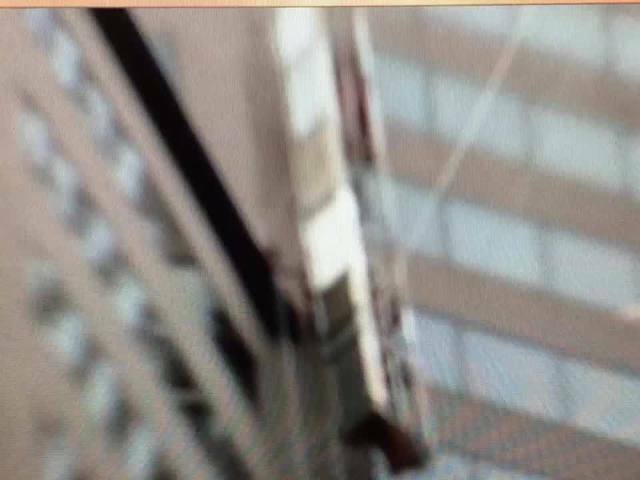 CINCINNATI -- One of the men who dangled from a partially-collapsed platform hanging 27 stories over Downtown Cincinnati on Tuesday said he didn't expect to survive the ordeal. Craig Scalf and Tracey Williams of One Stop Signs had been working from a scaffold on the side of the U.S. Bank Tower. They were removing one logo and installing another. They were coming down from the perch for the day because a storm was rolling in. That's when one side of the platform began moving faster than the other and the scaffolding begin to hang vertically. 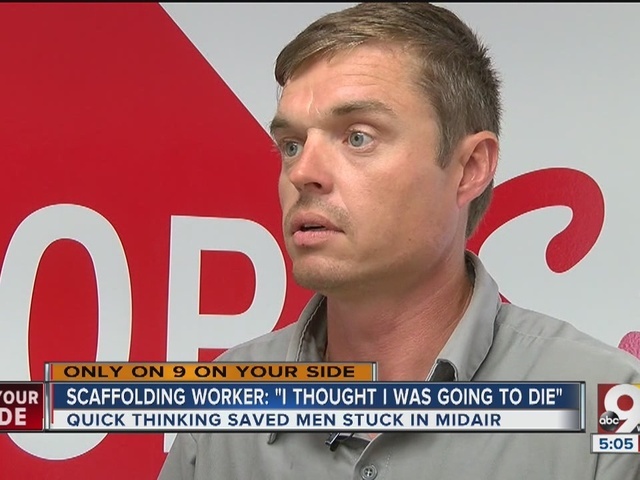 "I thought I was going to die," Scalf said. "My first thought was, I wasn't going to see my baby girl and my wife again," he said. Scalf was at the upper end of the fallen platform. Williams was at the bottom and climbed up. "He's just holding on and, you know the way that it was angled, it was open at the bottom of it, so it looked like I was just looking into a hole," Scalf said. "… I can't get the image out of my head. I'm looking down at him and I'm just thinking, 'Hopefully, these ropes hold.'" The wind continued to blow, and the scaffolding scraped against the side of the building while the men held on. "I was pretty nervous," Scalf said. "My adrenaline was rushing." The wind swung the platform back and forth, and the men grabbed onto the nearby lower level roof. Scalf's leg was wedged. He was able to pull it free, but his boot fell to the ground. The men climbed onto the roof. 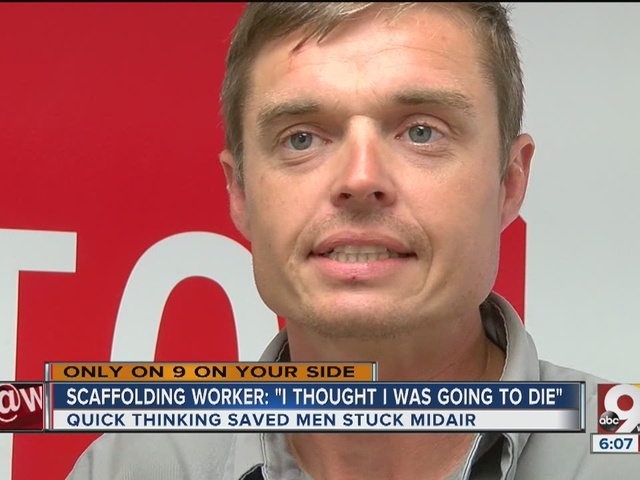 Scalf said he didn't know what they would have done if the scaffolding hadn't been so close. They said they had never experienced anything like Tuesday's terror before. "I can't get that image … looking down, I cannot get it out of my head," Scalf said. "It's just in the background of my eyes, it's just wild."